There are so many varieties of Vegetables available in the market in many Countries. Here in the USA, specially in California, we find Vegetables from India, Asia and Mexico. Some Vegetables are familiar to us and some seem to be Foreign -since cooking process may be different for many of them, most vegetable recipes have instructions on cutting and cooking but this section is for general information-specially if you want to know moore about them. 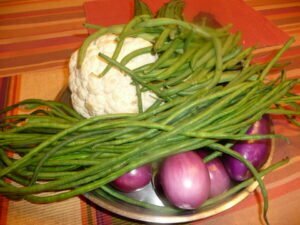 In this post you will learn to know many Vegetables and their characteristics and how to cook them. Okras become gooie if water is added. Many people steam them uncut but to add spices and flavoring becomes difficult. 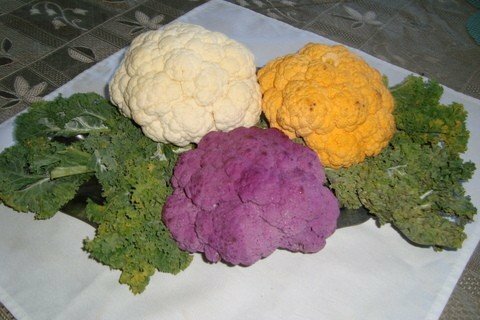 Cauliflower also has a pungent odor while being cooked. It may not give out as much pungent odor if cooked in oil- or saute. There are many other vegetablle from India and other Countries-such as Bitter Gourd, Small Eggplants, Loki-another type of Gourd and Snake Gourd-this name is given because of the shape-it is actually very flavorful and tasty vegetable. This vegetable can be cooked in a little water or without. Many vegetables drain their own juice when being cooked and salt added to them- such as Cabbage, Zucchini, and many variety of Gourd. 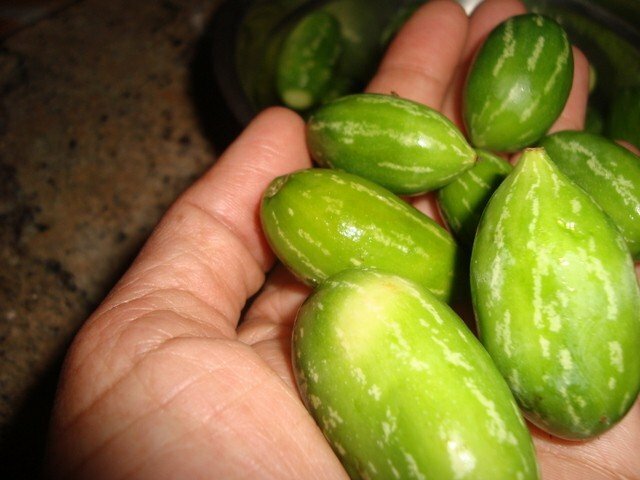 Bitter gourd- it is really bitter-there are two to three varieties of this bitter vegetable. It is considered a specialty in Indian cuisine as it takes some special process for cooking. Very bitter vegetable from Gourd Family. 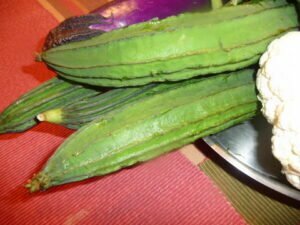 There are at least two kinds of them-one small with dark green bumpy skin -mainly found in Indian Market-this vegetable is called Karela- and the other one light green and slightly bumpy skin about 5 to 7 inch long almost the size of a Cucumber-in Asian Market. Important to remove the skin-you can use a peeler. Slice then no more then a quarter in thick half rounds-sprinkle salt on them – the entire process is in the recipe for Bitter Gourd-Karela. When cooking Cabbage, almost the whole household knows we are having Cabbage-I personally do not like the smell. So for best results- when you want to cook Cabbage, remember that the juice from Cabbage has to be drained. Cooking Cabbage in water really gives that pungent odor. Process of cooking Cabbage is posted in Vegan Cole Slaw. 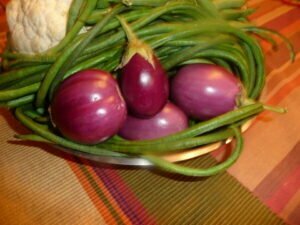 Eggplants come in many varieties and shapes and they take different time and process in cooking. Eggplants turn dark once cut. Many people have suggested to put them in Water and add some salt but they still turn dark. Lemon juice will keep them from turning dark but lemon juice will not allow them to cook. Green beans, Asparagus and, Long beans will cook well in a little water. Peas are my favorite,as these tiny green balls give color and are full of nutrients. I use peas in many vegetable dishes. Green Soya beans also adds color and taste, they are sometime available in Markets as Edamame-shelled or in Shells.